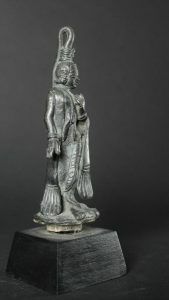 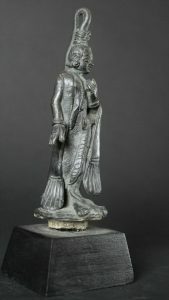 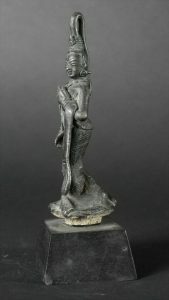 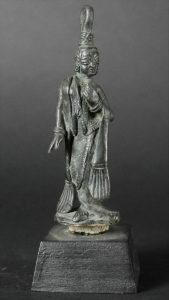 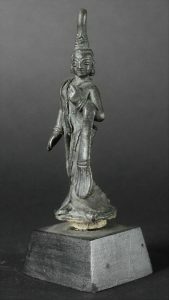 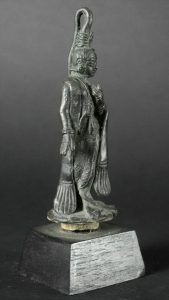 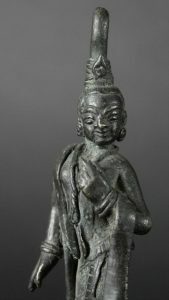 19th Century Burmese bronze Elegant Female figure. 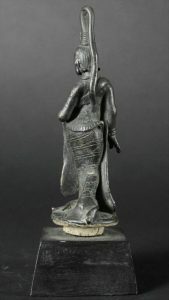 Probably the topcover of a bottle or vessel. 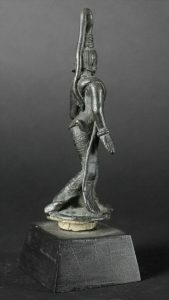 Outragious high and long hairdo making a loup, her body in a twist and with a long dress, traditional earrings sweet expression making a step forward. 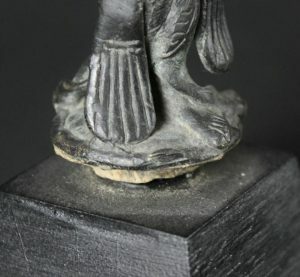 Great detail and a lovely patina.She is placed on a square black display.